September 18th, 2007; images added September 19th, 2007. Whilst Culzean Castle will probably always be a first port of call for Kennedys, there are some interesting Kennedy items in other museums. The National Museum of Scotland has two items I spotted on a visit yesterday - there may be more of course. Bear in mind that displays change from time to time. The first item I spotted was a pamphlet 'Protest against the introduction of the Revised Common Prayer Book' prepared by the Earl of Cassillis dated 22nd February 1638, read out at Martyrs Cross in Edinburgh. The second item I saw was a beautiful engraved silver cup, donated by Ellon parish church in Aberdeen, given to them by John Kennedy of Kermuck. The cup itself was made in Amsterdam in 1634 and is engraved 'given by John Kenedie and his wife Janet Forbes'. This is a well-known family who adopted the Kennedy name from a similar sounding name early on; later mired in controversy they were forced to move to Caithness. Some of their graves can be found on the island of Stroma - if you can get there! Back in Glasgow the glorious Kelvingrove Museum has recently been showing 'Kennedy's Patent Self-closing Fountain' by the famous Kilmarnock firm of Glenfield & Kennedy, founded by Thomas Kennedy. Thomas was a native of Oban who moved to Kilmarnock and created a very successful engineering firm - one of their products being the ubiquitous pavement manhole cover! Several of these Kennedys can be found at rest in Kilmarnock cemetery. 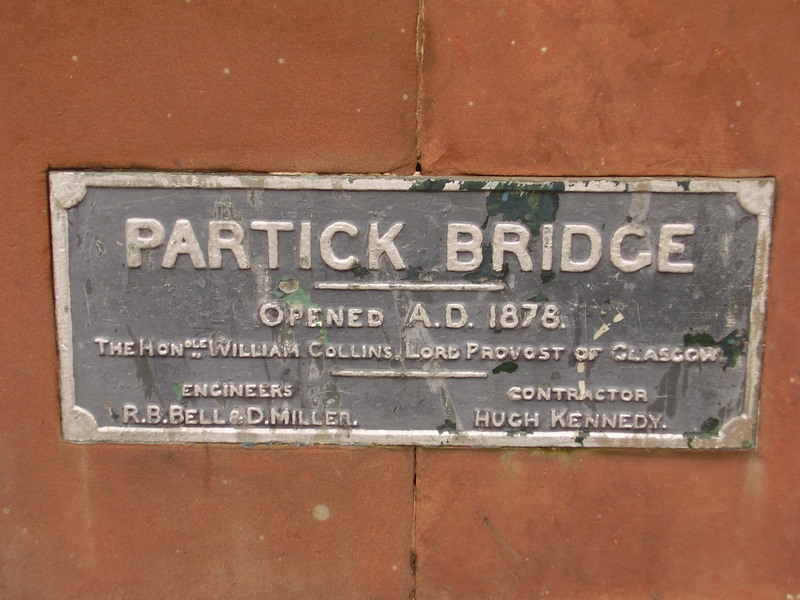 If you approach the museum along Dumbarton Road from the west keep an eye out for another Kennedy engineering great - Partick Bridge over the River Kelvin having been built by the firm of Hugh Kennedy & Sons. Hugh Kennedy was born in Netherton in Dunbartonshire and his other exploits include the building of Wemyss Bay and Gourock railway stations. 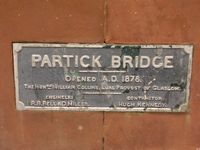 He now rests in a splendid tomb on top of the hill of Glasgow Necropolis.